Hello December and hello to my fourth year of doing a December Daily™ album project. 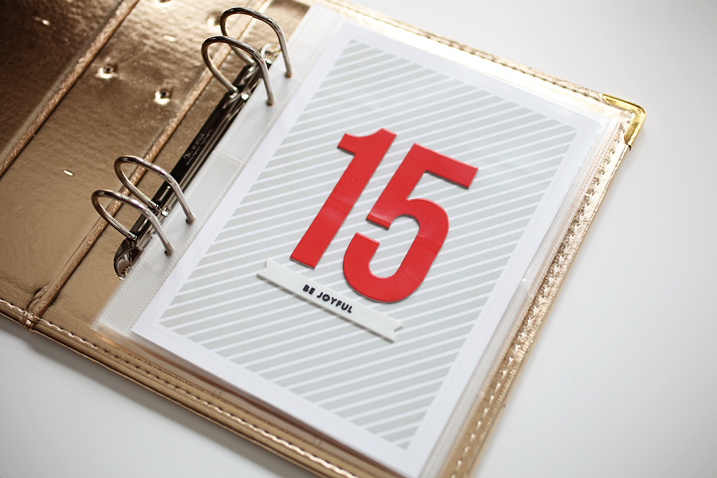 This year, I’m using a combination of things including Ali’s basic kit, this gold album, my free template set and a host of other little digital goodies here and there from my CZ Design Digitals collection. I created my own spine label using this digital stamp set which I plan to use throughout the album. I don’t like to work to far in advance on this project. For some reason, I like to create the pages and entries as I go. It’s probably because I take a very hybrid approach to my story telling. I mean, let’s be honest here… I’m probably not going to use the paint and stencil in Ali’s kit. But stranger things have happened, my friends. 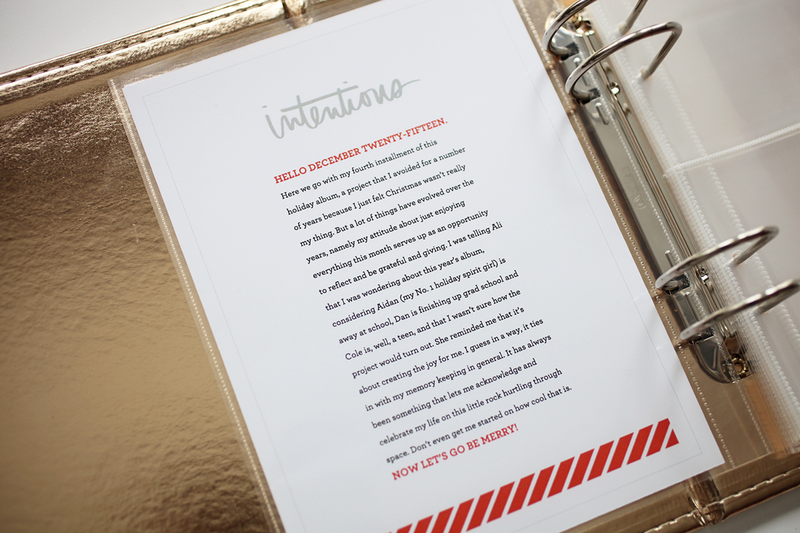 One thing I definitely used was Ali’s free intention page download (find the file in this post.) I love that Ali offers this up. 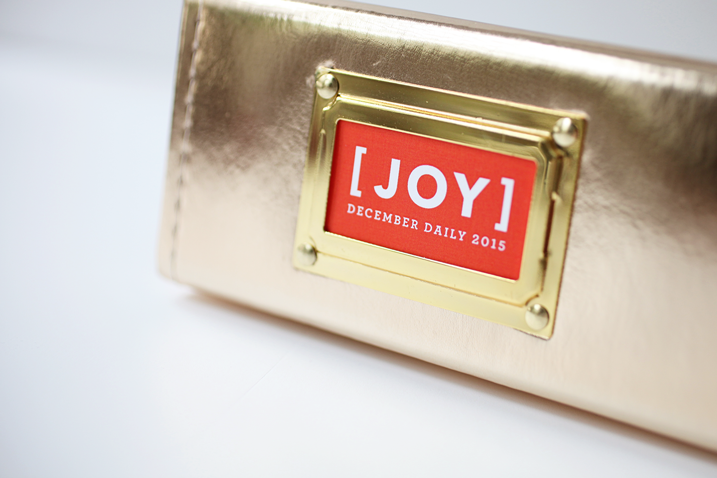 Not to name drop, but a brief conversation with her last week reminded me of what is most important about this project: finding the joy in the season regardless of what’s going on around you, or as part of what’s going on around you. My title page is super simple. I adore the giant red letters from the kit. I actually saved my gold ones from last year’s kit, but decided to go with the red. 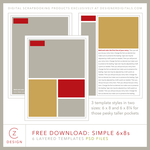 I created my own background using one of my own digital papers and one of the free template pages. I will share some of my entries here going through the month. Maybe a lot. Maybe a few. It depends on what stories come out of the mix. I have a fun share coming tomorrow with a video tutorial, so check back! Here are the project colors I’m using. 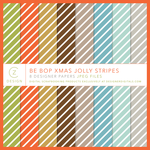 These are the colors from the Be Bop Christmas collection. I think they’ll work well with this album project and the good news for today is that all Be Bop products are on sale for 40% off! Here’s to a fun project and a merry month. 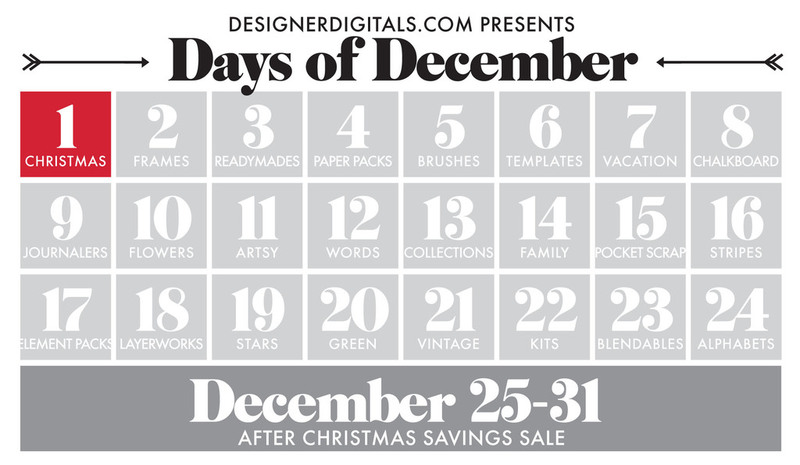 Today kicks of the Days of December at Designer Digitals, the home of my digital scrapbooking collection. Every day there will be a host of items for 40% off, starting today with Christmas themed products. If you want to stock up on some of my digital goodies for your December Daily projects, check out the sale today and then be sure to check back. 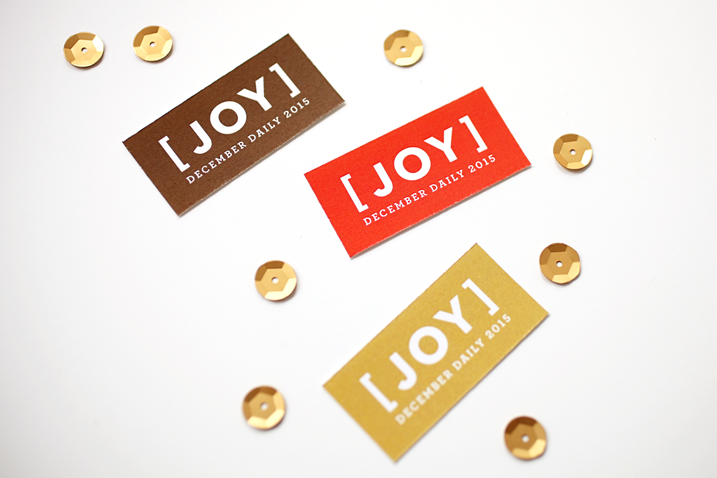 I’ll be promoting this throughout the month to pass along the savings to you. 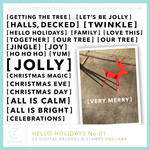 Click here to see all of my Christmas-themed products that are on sale for 40% off! I love the gold album! Such a great idea. Love your attitude too. I’ve entering December feeling a bit behind and overwhelmed, but looked through a prior year’s album and feel like a have a base of ideas not just for Dec. Daily, but for you we like to enjoy December. An unexpected gift! I love the simplicity of your albums and it looks as though I’m going to head over to Designer Digitals (again!) and see what I can use this season. 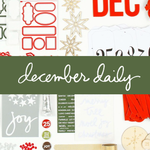 I love following you December Daily albums. I’m working with physical products for the first time this year, opting to go hybrid and experience something outside of my all digital photo book comfort zone. 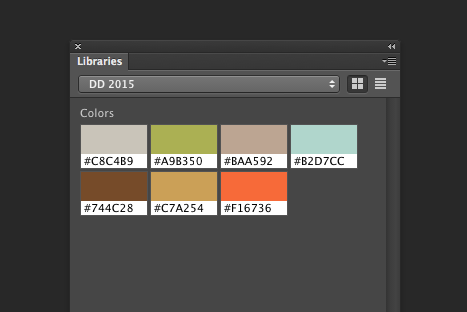 Any chance you can add that palette as a shared Library item for other CC users? I love the gold album, and your simple but classy title page! I look forward to seeing your pages throughout the month 🙂 Happy December to you and your family! I’m sort of with you feeling meh about the season, but good for you for embracing the story you want to tell. Stay true to what’s true and you’ll be well. Thanks to you, off to a good start. Got to love those 4×6 cards. Easier to tell the story day by day. Save the 6×8 pages for more photos stories. Thanks for all the Dec Daily digi goodness and suggestions. So exited to finaly really start my december daily. Hope you have fun too! Talk to me about how you made that color palette library. That looks like photoshop. How do I set a color library like that?!? I think it’s somewhat new to CC 2015 maybe? It’s under Window > Libraries, and honestly? I just started clicking around. It’s the first time I’ve used it so I’m not exactly sure how it works just yet!